You’re going to love this super simple Valentine idea. All you need is this set of cereal Valentines and some small boxes/pouches of cereal! 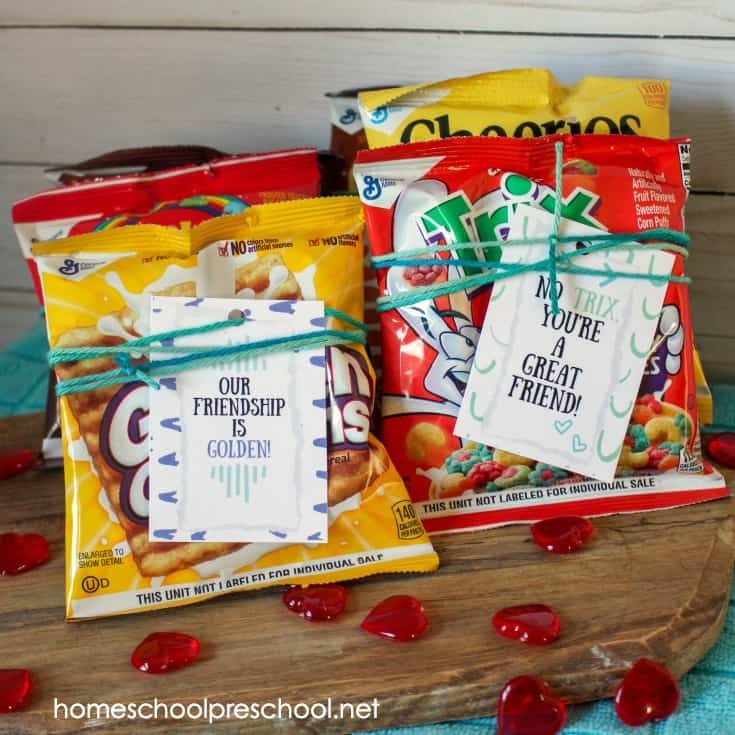 Whether your kids are passing out Valentines to classmates or loved ones, these cereal-themed printable Valentine card ideas are sure to be a hit. Print out as many as you need to match the types of cereal you have on hand, and you’re all set! I love these fun and unique non-candy printable Valentine cards. I bet your kids (and their friends) will, too! 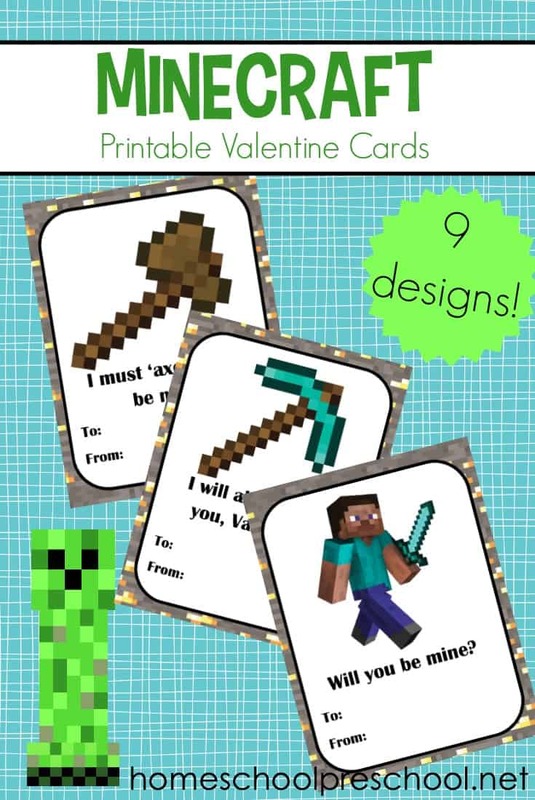 These Valentine card ideas are a great way to encourage kids to think outside the box. They may be a tad more expensive than traditional boxed cards, but everyone who receives one will remember it. 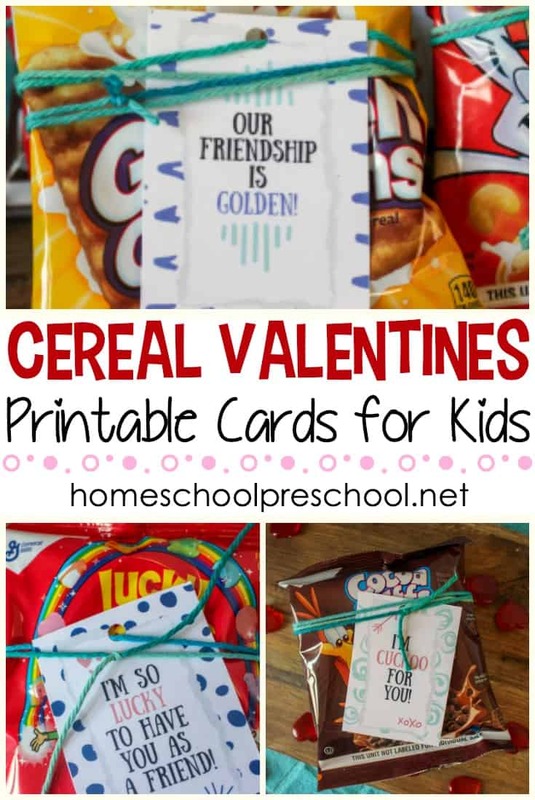 All you need to get these Valentine cards going is individual cereal bags or boxes, some string or yarn, and regular printer supplies. I suggest printing out the cards on cardstock for durability. Go ahead and print what you need and cut them apart before gathering the kids. This will make the project go a lot quicker. Once you’ve got all of your cards printed out, use a hole punch to punch a hole in the top of each card. Use a piece of double-sided tape to adhere each card to a bag or box of cereal. Cut a piece of string or yarn about as long as your arm. Put the string or yarn through the hole in the top of each card and warp it around the cereal. Tie a knot to secure it. Your Valentines are all done! 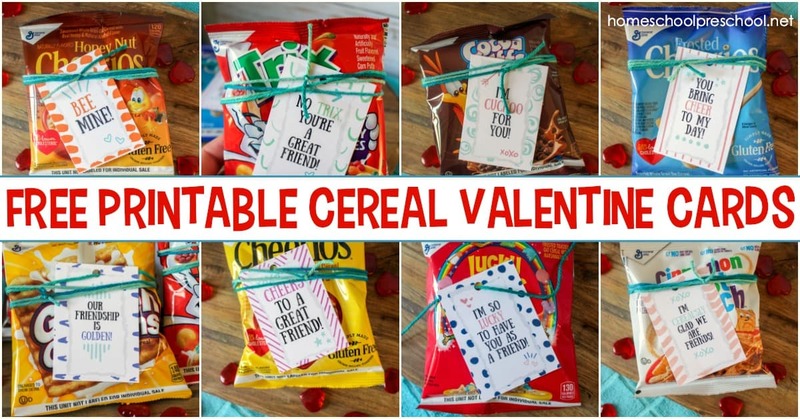 If you’re planning to make these cereal Valentines, I recommend these resources. They’re my top picks from Amazon! 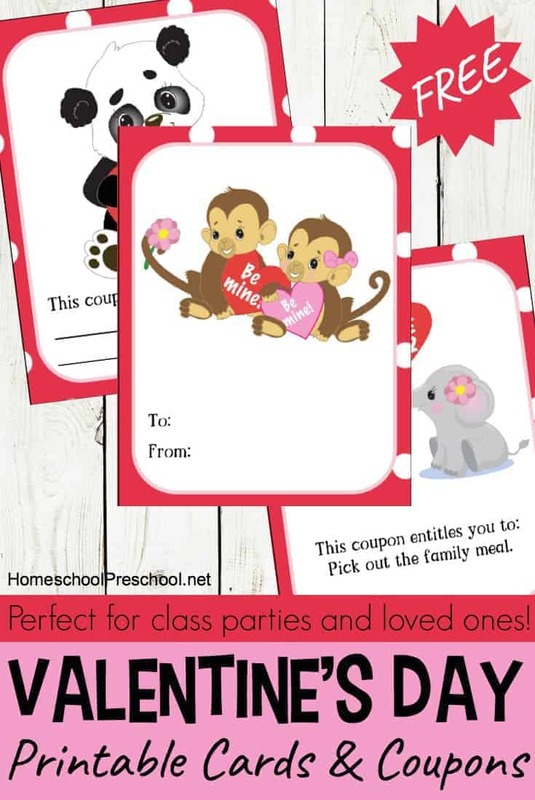 To get them for your preschoolers, just click on the image below. 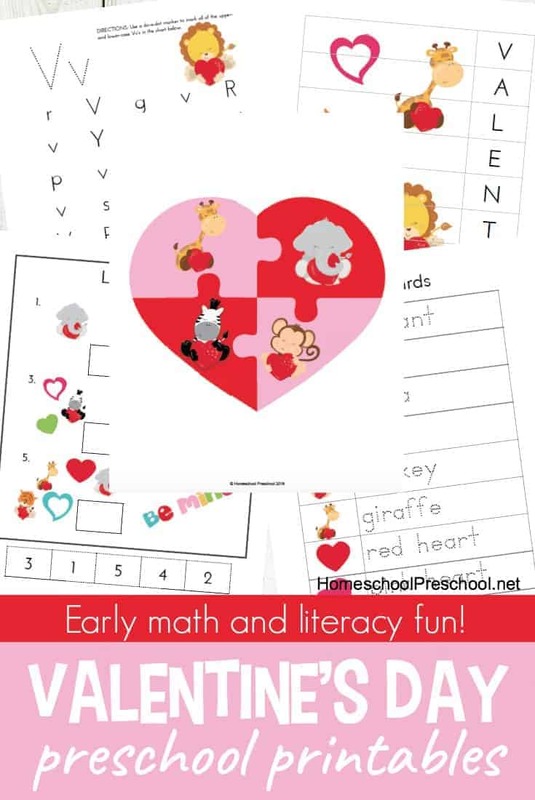 This pack of free Valentine printables for preschoolers is only available to my readers. Click the button below, enter your information, and download your printables.